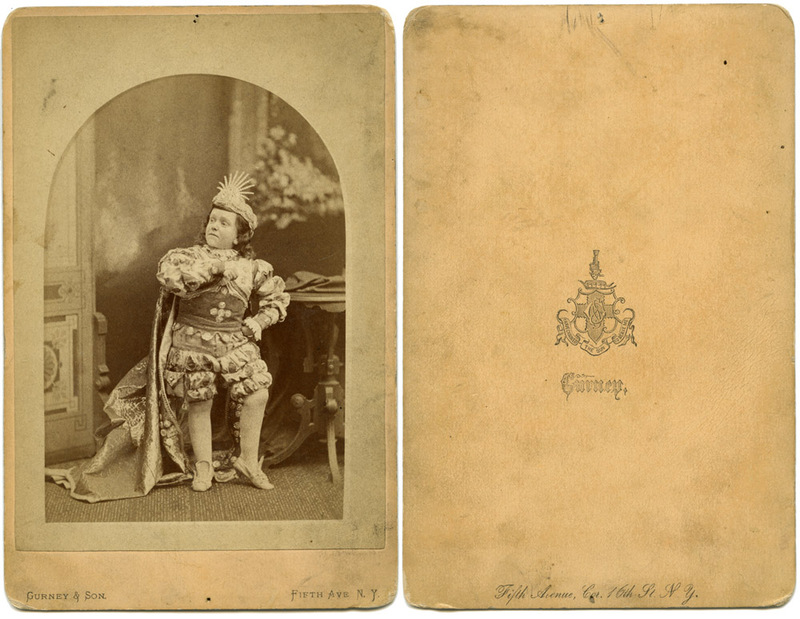 This is a cabinet card by J. Gurney & Sons of a midget actor in full theatrical costume. I wish I knew the identity of the actor. He must have been famous in the day, because he had Gurney photograph him. Going to Gurney would be somewhat akin to having Richard Avedon or Annie Liebowitz photograph you today. Well, maybe not Richard Avedon, as he’s dead now. But you get the idea.